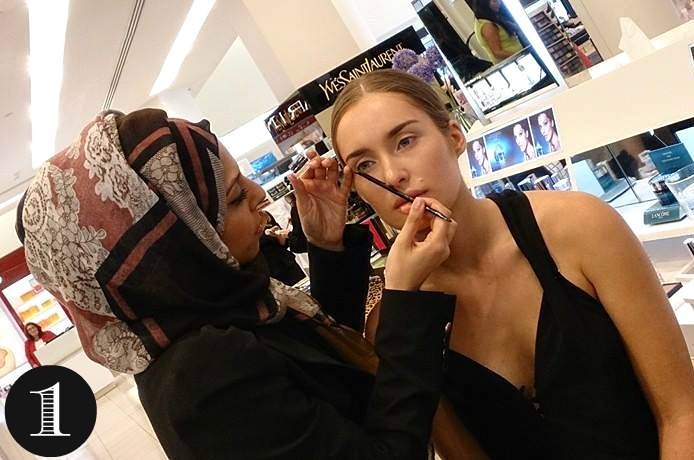 Continuing on the theme of meeting awesome people and learning all the things, I was delighted to have the opportunity to meet Lancôme's Elite Team Head MUA and one of the smiliest people I've ever met, Shehla Shaikh twice last week during her flying visit from London. 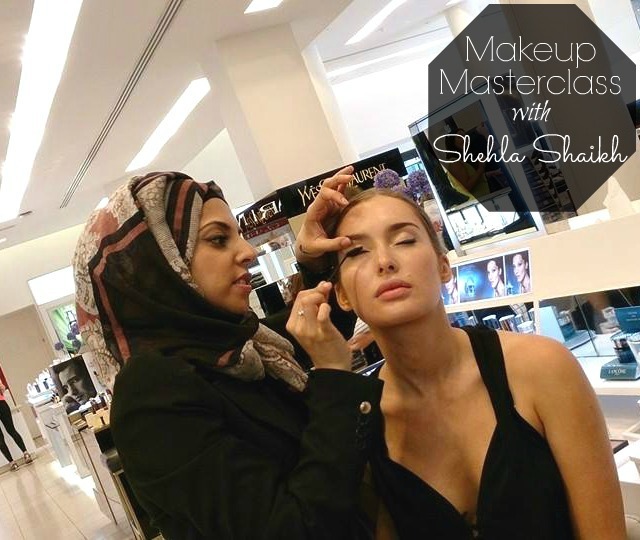 First to unveil new Grandiose mascara and second to attend a masterclass, hosted by BTs and pick up some hints and tips on makeup application, Shehla style. Her 3 point trick for liner is so simple that I just had to share. Step 1: Place your liner brush, with product, against your nose, line it up with your outer eye and gently touch the product to the skin. This will leave a perfectly straight line, at the right angle, on your outer lid. Step 2: Draw a line to join the uppermost tip down to the lashline. One fluid motion gives the outlay, fill in the tiny triangle you've just created as you go. Step 3: With a little more product on the brush, sweep from the inner eye outward to join up your line, you can go over this to increase the line width and add drama. If we can get over how breathtaking Roz is for just one minute, LOOK at that liner! 3 simple steps, bish bash bosh - beautiful. 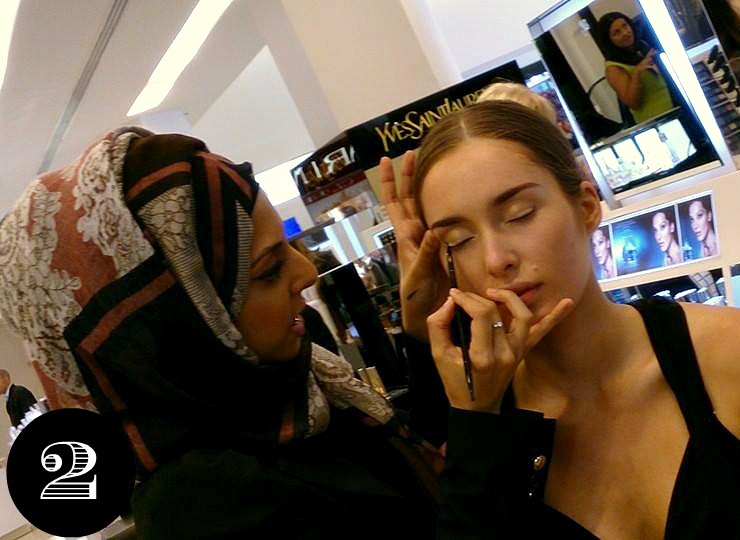 When it comes to framing the eyes, Shehla recommends to apply mascara in 3 steps too. 'A lot of people want instant results with one coat' she says, 'If you apply your mascara concentrating on outer, middle, inner lashes and take a little bit of time on application, you'll be amazed at the results you can achieve'. I dunno about you but I'm going to be giving these tips a go post haste. If you see a second Roz Purcell floating about Dublin's city centre, you'll know what happened.